The trio of pianist Fabio Sartori, author of a beautiful album (IN)Obediens] published three years ago, comes back with a second chapter of original music, explicitly dedicated to the artist Osvaldo Licini. 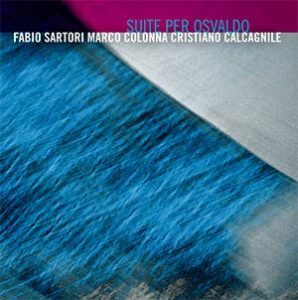 Music that traverses free and obligatory areas, which always leaves great margins for the excellent Marco Colonna (clarinets) and Cristiano Calcagnile (drums), chosen musicians, capable of extending and enriching the compositional material of Sartori. An album of remarkable expressive tension, based on the strategic alternation between rhythmic densities and lyrical openings of great effect.